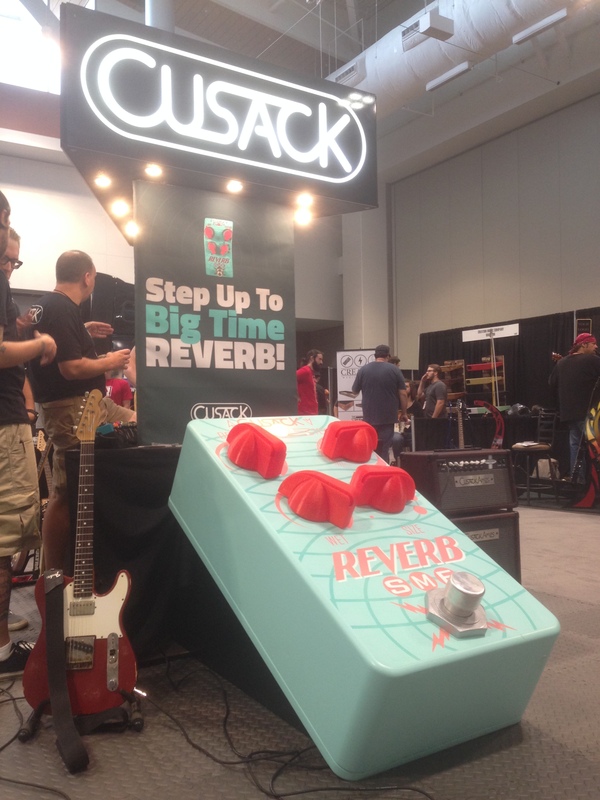 Reverb SME, Reverb for Guitar from Cusack Music. 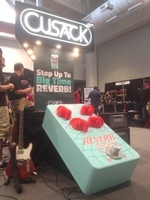 Summer NAMM visitors had the opportunity to see and even play a huge reverb pedal at the Cusack Music booth. 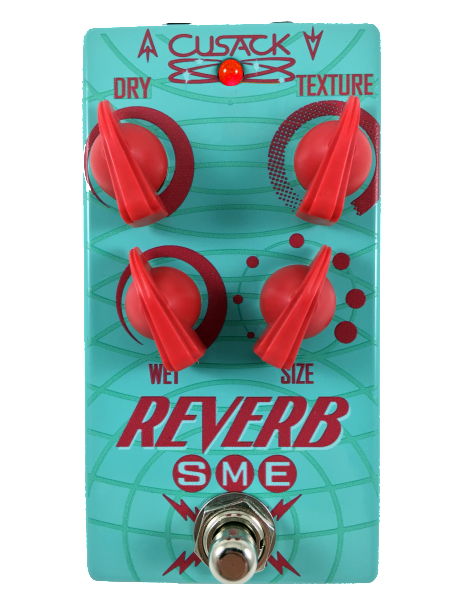 The new Reverb SME (stands for Size Modulation Emulator, formerly Sweet Verb) won’t be as big at retailers and will even fit on your pedalboard or guitar gig bag, like any other effect pedal. The new vintage-style reverb features a Size knob that can take your effect from small and springy to a big cave. It also includes separate Dry and Wet level controls and a Texture knob that will help you adjust the reverb tone. The new Reverb SME can be battery-powered but due to its 60mA current draw, Cusack recommends you use it with a power supply. They even decided not to provide batteries with the pedal, unless requested during the order. The Cusack Reverb SME is available for $185. More info at cusackmusic.com. [NAMM] 3rd Power Dual Citizen amp 3rd Power fulfills users wishes with the Dual Citizen, a new guitar amp that provides both Fender and Vox tones. [NAMM][VIDEO] Chase Bliss Gravitas A few weeks ago, Chase Bliss introduced three new effect pedals, among which the Gravitas analog tremolo that we could discover at Summer NAMM. [NAMM][VIDEO] 2 Walrus Audio pedals for guitar Walrus Audio was at Summer NAMM to introduce the upcoming Bellwether delay, which is on pre-order, and the prototype of the Messner overdrive pedal.